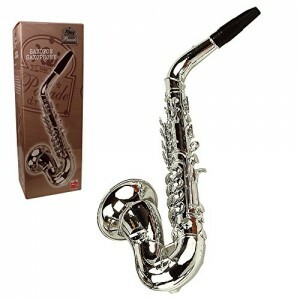 This deluxe silver Saxophone has 8 notes and comes ready boxed for a child to open. For children, music provides many, many benefits. There are many good things about letting your child learn to play an instrument. From boosting their memory, confidence and social skills to boosting brain power and patience, kids will also love learning to play an instrument, allowing them to unleash their creative skills. 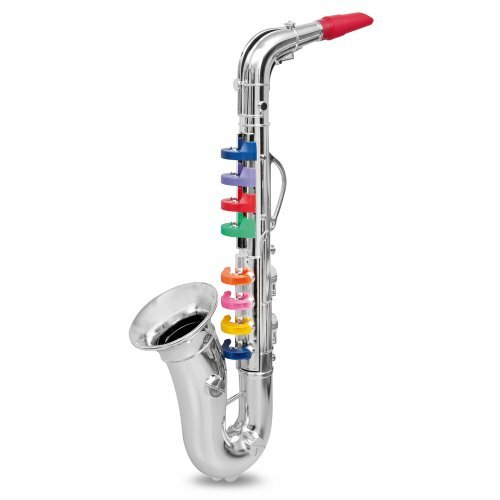 This instrument is super durable and beautifully finished, making it the perfect way for your child to learn. The bright and funky design will appeal to children visually too, and at this price, you simply can’t go wrong.